Love Christmas? 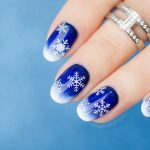 This ultra festive Christmas nail design is for you! It’s done in classic holiday colours – warm dark red and lush gold and incorporates all of the traditional Christmas patterns – snowflakes, Christmas tree, ornaments and of course, candy. 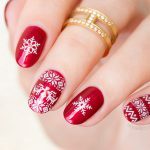 This Christmas nail design looks full on, but in fact it is quite easy to do. 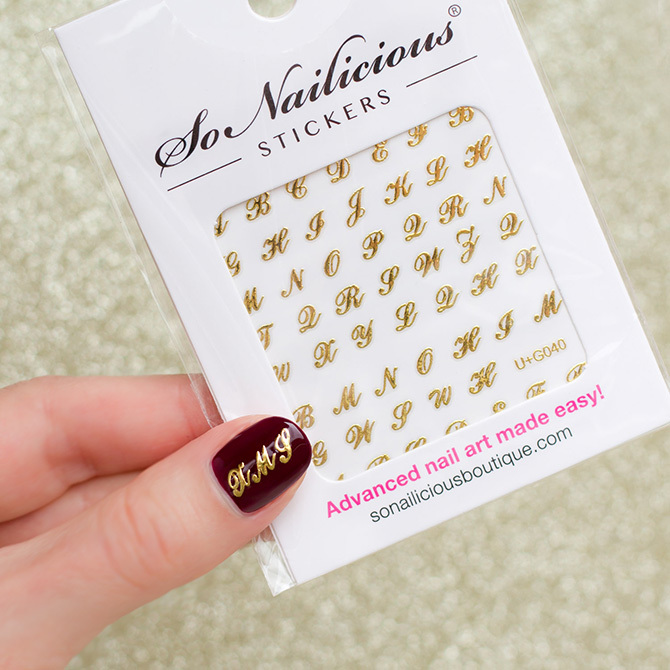 All thanks to the new SoNailicious Christmas nail stickers! Paint all nails in gold and dark red. 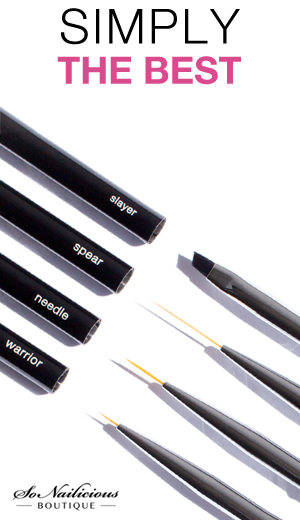 Apply 1 thin coat of a fast drying top coat and wait until it’s dry. 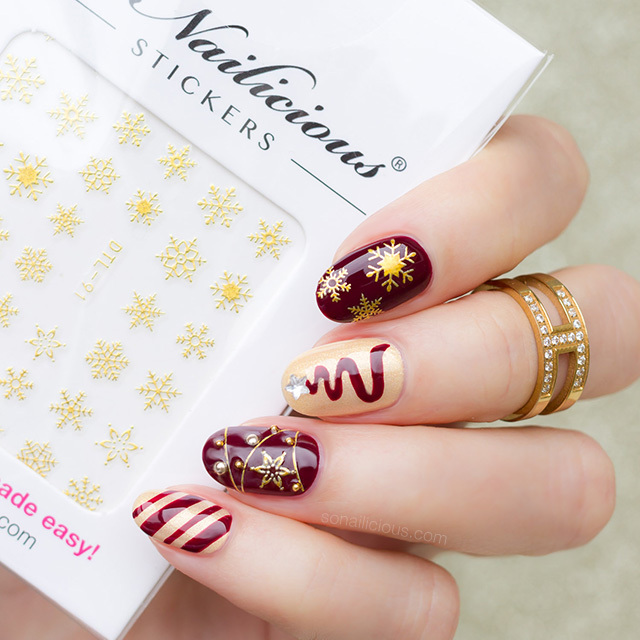 Use gold Snowflake stickers on pointer finger. 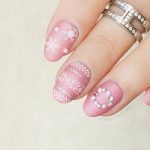 Use gold Metallic Stripes stickers with another Snowflake and gold beads on ring finger to create the ornament pattern. 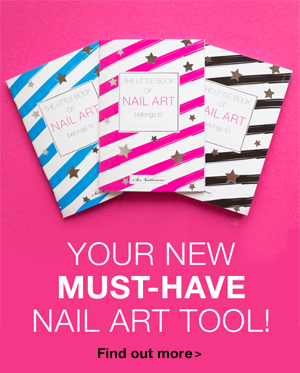 Check this post to learn how to apply nail stickers flawlessly. 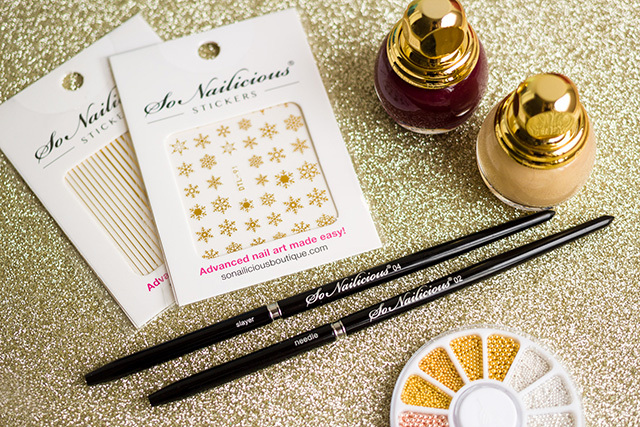 Use fine liner nail art brush to paint Christmas tree and candy stripes with dark red polish over gold nails. Allow 5 minutes for your design to dry and secure it with a high gloss top coat. Done!!! Enjoy your fabulous Christmas nail design! Mavala Gel Finish top coat. How do you like this Christmas nail design? 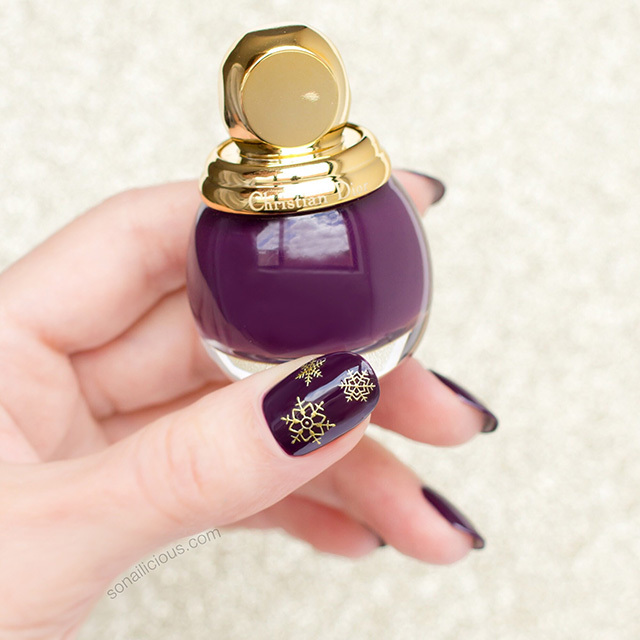 Have you already started planning your festive manicures? Christmas Sweater Nails – plus, how-to!